The Devil's Lettuce. Mary Jane, herb, ganga, chronic, stinkweed, hay, skunk, broccoli, pot, weed, reefer, dope. Marijuana has gone — and still goes — by many names. One that's becoming more commonplace: Medicine. And seemingly following not too far behind: Legal. For a great overview and deeper dive into the history of the plant in the U.S. and the stigma of how American culture is evolving on the topic of marijuana, revisit Matt Swanseger's April 12, 2017 feature for the Erie Reader, "Blunt Terms." In it, Swanseger reviews the country's interesting past and evolving future with the plant of many names, quoting Brookings Institution Senior Fellow John Hudak, author of Marijuana: A Short History, "Over the course of the nation's history, the plant has gone from a required crop to an accepted medical treatment to a government-regulated pharmaceutical to an illegal drug to a somewhat legal medicinal option to a local legal and regulated substance." Along the way, Swanseger refreshes our memories of the impact of the Spanish-American War of 1898 and the subsequent Mexican Revolution (the ill-conceived caricatures of "less motivated, less industrious, and less stable morally and emotionally" pot-peddling Latin Americans), as well as the 1937 now-cult-classic Reefer Madness (noting that exaggerations in the film rate as "laughable"), President Nixon's War on Drugs (and how marijuana-related arrests soared above 700,000 under the Clinton administration), and more, outlining the how and why of, well, how and why we got here. Two years later, questions remain, chiefly: What is legal, and where? And when will things change again? A quick answer to the what and the where is: Nothing is legal at the federal level. Conversely, on the state level, it varies between the 50 and the District of Columbia. According to the National Conference of State Legislatures as of March 2019, 10 states and D.C. have passed laws to offer adult and medical use regulated programs, putting them under the "legalized" umbrella of organizations such as DISA Global Solutions, which provides workplace safety and compliance services. That includes: Alaska, California, Colorado, Maine, Massachusetts, Michigan, Oregon, Nevada, Washington, Washington, D.C., and Vermont. "Legalized" can be tricky, though. Some states have cut through the bureaucratic red tape to set up recreational shops with varying degrees of ease and success. Others, like D.C., have struggled. While it's legal to own, consume, grow, or gift marijuana in the nation's capital, a buyer-seller commercialization isn't yet legal due to restrictions hinged to the legalization bill. So "gifting" isn't uncommon — meaning that when someone purchases, say, a piece of art, a T-shirt, or virtually anything else, they may receive a "gift" of a legal amount of marijuana. Arizona, Arkansas, Connecticut, Delaware, Illinois, Florida, Hawaii, Louisiana, Maryland, Minnesota, Missouri, Montana, New Hampshire, New Jersey, New Mexico, New York, North Dakota, Ohio, Rhode Island, Pennsylvania, Oklahoma, Utah, and West Virginia all feature a comprehensive medical marijuana program. Of those 23, eight states — Connecticut, Delaware, Maryland, Minnesota, New Hampshire, New York, Ohio, and Rhode Island — have decriminalized the drug in varying capacities. Other states, such as Pennsylvania, don't yet have full, statewide decriminalization legislation, but have approved decriminalization measures at the local levels in certain cities (more on that ahead). Thirteen states feature CBD/Low THC programs: Alabama, Georgia, Indiana, Iowa, Kentucky, Mississippi, North Carolina, South Carolina, Texas, Tennessee, Virginia, Wisconsin, and Wyoming, while just four states — Idaho, Kansas, Nebraska, and South Dakota — feature no public marijuana access program. CBD (cannabidiol), one of more than 100 cannabinoids derived from the cannabis plant, has recently found itself infused into a vast array of products — everything from beverages to cosmetics, a sampling of which Alice Nick recently had on display at the Whole Foods Co-op. 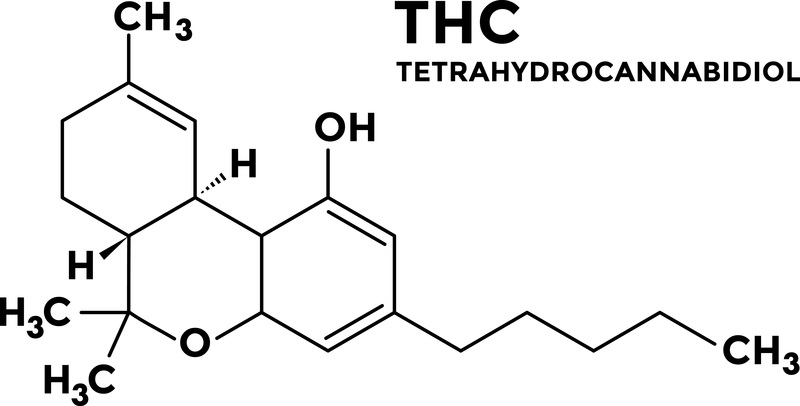 Unlike THC (tetrahydrocannabinol), it doesn't produce a high, although it is said to induce calming effects on the user. Blazing the trail, California voters passed Proposition 215, which allowed marijuana to be used medically in 1996. That triggered the Institute of Medicine to issue the 1999 report "Marijuana and Medicine: Assessing the Science Base," with the study's authors describing its need because "the medical use of marijuana is surrounded by a cloud of social, political, and religious controversy, which obscures the facts that should be considered in the debate." According to the 20-year-old report, "Scientific data indicates the potential therapeutic value of cannabinoid drugs, primarily THC, for pain relief, control of nausea and vomiting, and appetite stimulation," while noting, however, that "smoked marijuana is a crude THC delivery system that also delivers harmful substances. "The psychological effects of cannabinoids, such as anxiety reduction, sedation, and euphoria can influence their potential therapeutic value," the report continued noting. "Those effects are potentially undesirable for certain patients and situations and beneficial for others. In addition, psychological effects can complicate the interpretation of other aspects of the drug's effect." While states then saw and continue to see potential, the federal government has not adjusted its classification of marijuana under the Controlled Substances Act as a Schedule I substance, a branding used for substances not accepted for medical use and considered to have a greater potential and risk for dependency. In 2009, the Obama administration issued a memo recommending that people distributing marijuana for medical purposes not be prosecuted. Four years later in August 2013, Obama-era Deputy Attorney General James Cole issued a memorandum updating the Justice Departments marijuana law enforcement efforts. While acknowledging that marijuana remained illegal and that federal prosecutors would continue to "aggressively enforce this statute," the memo reaffirmed deference to states: "the federal government has traditionally relied on state and local authorizes to address marijuana activity through enforcement of their own narcotics laws. This guidance continues that policy." What was new was that states, such as Colorado and Washington, were then on the forefront of crossing the medical threshold to the legal consumption realm with the authorization of production, distribution, and possession of marijuana. In short: As long as the states could handle what lies ahead — by imposing an "appropriately strict regulatory system" — the federal government would defer "its right to challenge their legalization laws at this time." But that federal yield got stopped at a red light in 2018. Former Attorney General Jeff Sessions gave federal prosecutors the green to decide "how to prioritize enforcement of federal marijuana laws" with his January Marijuana Enforcement Memorandum that rescinded the Cole Memorandum. In a change of course, U.S. attorneys could now "weigh all relevant considerations, including federal law enforcement priorities set by the Attorney General, the seriousness of the crime, the deterrent effect of criminal prosecution, and the cumulative impact of particular crimes on the community." But still, states are writing and carrying out their own respective laws, learning from each other along the way. In Pennsylvania, marijuana is medically legal but its recreational use remains illegal. But the march to making medical marijuana legal in Pennsylvania began back in November 2016 when Gov. Tom Wolf signed Act 16, providing access to marijuana in its medicinal form. Less than two years later on Feb. 15, 2018, medical marijuana became available to patients and caregivers through dispensaries, with more than 40 now operational statewide. For a look into how the industry is evolving in the Greater Erie region, check out Rebecca Styn's Erie Reader feature "A Growing Process." Three months later, the Pennsylvania Health Department issued revised regulations recommended by the Medical Marijuana Advisory Board, opening up access to medical cannabis flowers while also expanding qualifying conditions, including the use as a substitute therapy for opioid addiction. Several cities — including Erie — have decriminalized marijuana possession, but offenders found with small amounts of marijuana (30 grams, or 1 ounce) still face punitive measures. But rather than a misdemeanor charge, those found possessing an ounce or less are charged a fine of $25 and those caught imbibing in public or possessing marijuana paraphernalia face a $100 fine. For first-time offenders, the offense does not go on a permanent record and they would not face jail time. For a deeper dive into that — and how things have evolved since Erie City Council approved the measure on Jan. 17, 2018 — take a look at Liz Allen's Erie Reader feature "Is The Grass Greener?" which also covers Lieutenant Governor John Fetterman's statewide, 67-county listening tour to hear how Pennsylvanians feel about legalizing marijuana. While previously more common to associate the letters T-H-C with marijuana, the trio C-B-D is gaining ground. CBD, or cannabidiol, is similar to THC (tetrahydrocannabinol) in that it is one of more than a hundred cannabinoids (chemical compounds that act on cannabinoid receptors in cells that alter neurotransmitter release in the brain) found in the cannabis plant (that is: marijuana). It is different in that unlike THC, it does not produce psychoactive effects. That is: CBD won't get you high; THC will. Also, CBD is found in hemp — also a cannabis plant, like marijuana; but unlike marijuana, hemp lacks enough THC to intoxicate a consumer. 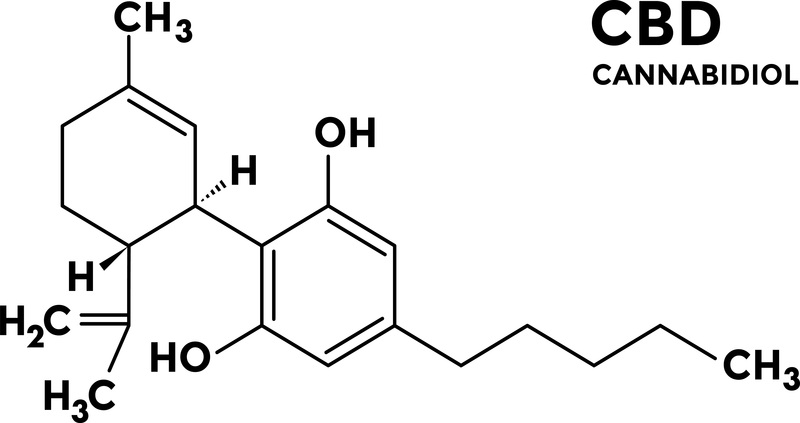 This means: CBD procured from hemp is virtually THC-free; CBD from marijuana, however, could contain enough THC to get a consumer somewhat, or entirely, stoned. Because of the total number of chemical components in the plants — more than 400 — it's tough to isolate CBD without a few friends hitching a ride in the processing process. Unlike THC, CBD has been built into a marketing machine unto itself outside of smoking, vaping, and eating. "CBD [is] a compound found popping up in everything from food to beauty products," quipped CBS News' Gayle King on an April 4 segment titled "CBD Safety." King went on to note that it's medically being used to treat anxiety, pain, and epilepsy, among other things, adding that the Food and Drug Administration is now looking into the unregulated market. While the federal government previously had a hands-off approach, as noted earlier, CBD falls under the FDA's umbrella because "it is the active ingredient in an approved prescription drug to treat two rare seizure disorders," writes Associated Press's Paul Elias. "The agency says CBD can't be added to food or sold as a dietary supplement because officials haven't determined if it's safe or effective for other conditions." Which gets back to the sticky area of marijuana: If states have cleared recreational use as legal, CBD can be consumed recreationally, as well as medically. If a state only approves of medical use, CBD can only be used medically. This also explains the states with "CBD/Low THC programs." But false medical claims surrounding CBD have stirred the slumbering beast of federal government. "FDA Commissioner Scott Gottlieb told Congress last week that enforcement is being limited to sellers who make false health claims," Elias reports. "He says the agency recently sent warning letters to three companies touting CBD as a treatment for cancer, Alzheimer's disease, fibromyalgia, and drug addiction." The FDA expects to hold a public meeting in May to obtain more information. Until then, the long arm of government is potentially reaching into the CBD-infused latte and wielding a giant eraser for companies touting unproven miracle work of the cannabis-derived chemical. States — as cautioned by then Dep. Sec. Cole — were being proactive in attempting to regulate CBD usage and the marketing thereof. In California, health officials issued warnings to retailers in the summer of 2018, noting that edible products containing CBD are illegal until regulators have the chance to establish and set guidelines and the San Francisco Health Department warned nearly 2,000 businesses throughout 2018. While states were working to put the safety of people as priority No. 1, retailers prioritized bottom-lines, betting that consumers would, well, continue consuming based on the trends of the trendy. What lies ahead? The future, one could make the pun, is cloudy. 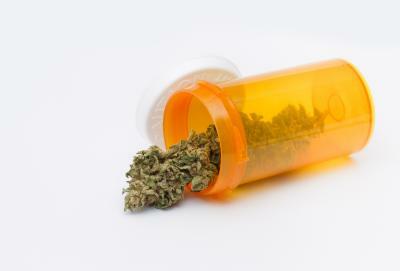 Certainly, there'll be more research, both on marijuana's effects as a recreational and medical drug. A push to obtain CBD from hemp rather than marijuana so that CBD soaps and cocktails can continue to be a thing? Possibly, but certainly more regulations will follow, whether it's hemp or marijuana-based — from the top down, with states most likely taking their cues from the federal government. More states moving towards legalizing marijuana? Trends suggest so. For Pennsylvania — if Erie's a testbed — the needle seems pointed much more towards legalization. A clear majority of those who attended Fetterman's listening session at the Jefferson Educational Society endorsed legalization. And where there's a will, there's often a way.